Celebrate the season AND the favorite artist in your life. 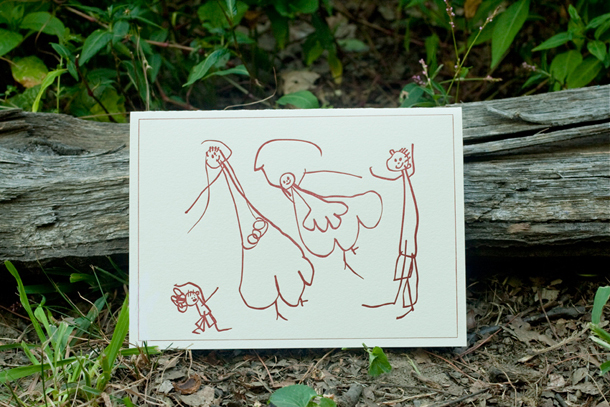 Share a family portrait drawn by your star with friends and family to treasure for years to come. It's easy to include a photograph inside but chances are that everyone has seen a recent picture of your clan but never of you in this love-filled light.